Kim's Upholstery, Your Gateway to Learning Upholstery. With many DIYers wanting to learn the art of Upholstery Kim began teaching in 2007. We now offer Upholstery Workshops and Online Upholstery Classes through our Online Membership where you have 24/7 access to multiple video tutorials from individual upholstery skill videos to full project upholstery class video tutorials. Check out our blog at KimsUpholstery.com to see what's new in our online upholstery classes or to see if Kim is traveling to your neighborhood. Custom high end upholstery fabrication and design. Caning, woodwork, repairs. 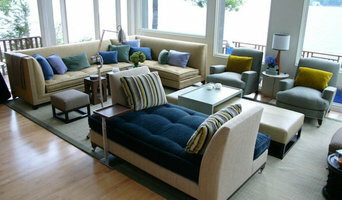 Re-upholstery, boats, office , commercial, and residential services. Over 25 years recycling! Antique restoration specialists! Mid-Century Modern specialists! 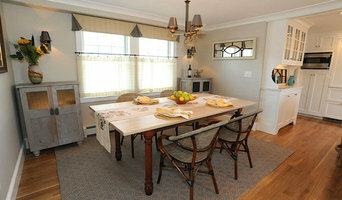 Cabinet & Furniture Restoration, Cabinet Refinishing and Furniture Refinishing, Repairs and Painting service. Woodwork Shop in Rollinsford NH, Serving NH, Northern Ma, Southern Me, area will cover about a 50 mile radius. Finish Factory is a small, family-owned company specializing in the art of Woodwork and Fine Finishes in the tri state area. 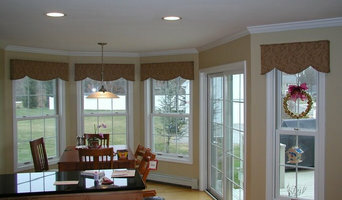 Love Is Blinds is a shop-at-home service for all your custom window treatment needs. It starts with a phone call or email and an appointment for a free consultation. Jodi Roos, a Certified Custom Window Treatment Consultant and President of Love is Blinds, will arrive at your home or office in her 'store on wheels' with thousands of samples. Her personal attention and over 25 years of experience will help guide you in dressing your windows. We are a one stop shop for window fashions, draperies, fabric products, manufacturing and design to the trade only. We have been in business for over 85 years serving the trade. Quality workmanship, on time delivery, and cost efficiency are our business standards. Reliable Fabrics is a professionally experienced workroom in the planning, coordinating, and fabrication of your residential, institutional, industrial, and commercial interior design project! 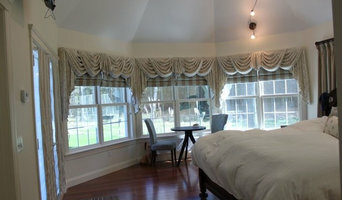 We produce quality custom draperies, valances, pillows, roman shades, bedspreads, motorized tracks, RBS systems and more. Re-upholstery/upholstery repair includes redoing/outfitting items like chairs and sofas with springs, padding and fabric coverings. This can also include adding fringe, piping, tufting or additional decorative elements to a furniture piece. They can also advise you about the pros and cons of different fabrics so you can choose the best type for the project in your Weare home. Find Weare furniture repair professionals on Houzz. 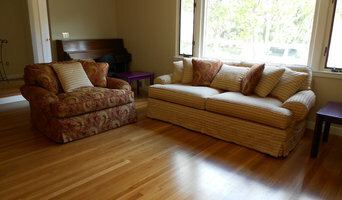 Narrow your search in the Professionals section of the website to Weare, NH furniture repair.